Sujin Jekash Simson is the CEO & Founder of Medryte. His wife Priya Sujin is the Managing Partner of the company and she helps her husband in managing the company as she has more than 8 yrs of experience in medical coding and billing. Both Sujin & Priya are multifaceted, multitalented & multitasking personalities with dedication & commitment. Sujin is a CPC and COC certified medical billing professional with over 12 years of experience in medical billing and coding. Both Sujin & Priya received their Bachelor of Physiotherapy degree from the reputed university Dr. MGR University, Chennai. They together make a wonderful team with strong family values & ethics. They treat every staff equally & unbiased, the staff too feel safe, secure, sheltered & satisfied. Both Sujin & Priya see Medryte team as their very own family. In addition to donating his skills and talents to Medryte Healthcare Solutions Private Limited, Sujin also serves as the Managing Director of a leading software company named Breezen Technologies and as the Managing Director of an import & export company named Total Activation Private Limited. Sujin also holds the position of "Tamilnadu State President-Trade Wing" in United Human Rights International which is a human rights organization based in Maryland, United States. 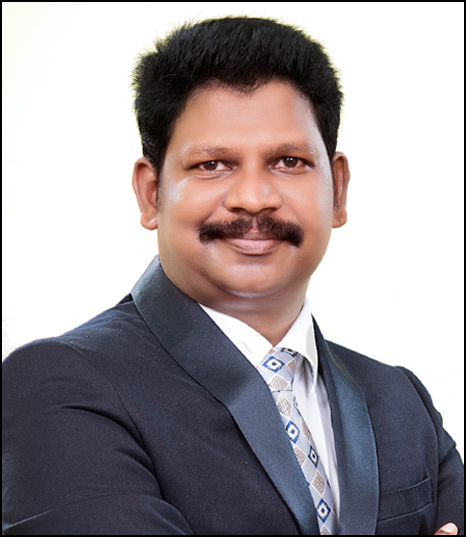 He received Viswa Jothi Award for Excellence from NICA, Social Entrepreneur of the Year - 2013 from UHRI, Nakshatra Achiever Award -2014 from the Tamilnadu Government's Chief Educational Officer of Kanyakumari District.